Manny Pacquiao says he will prove "age is just a number" when he fights as a 40‑year‑old for the first time against Adrien Broner in Las Vegas on Sunday. The Filipino will defend his WBA world welterweight title against the former four‑weight world champion. Pacquiao, who began boxing to earn as little as $2 in order to help his mother feed their family, is now a senator in his homeland and cites chess and reading as factors in keeping his mind "sharp" for this stage of his career. 29-year-old American Broner, has proved one of boxing's most controversial characters, most recently arrested over driving offences in December. 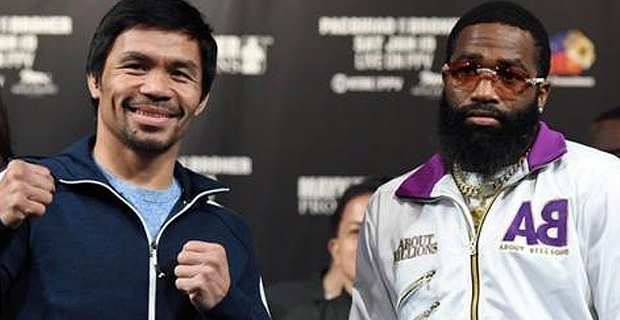 The fight program between Manny Pacquiao and Adrien Broner will begin at around 3am this Sunday.